All Souls’ Day is fast approaching! That means spending the day, or even the entire night at the cemetery to remember our departed loved ones. For families planning to camp out, the country’s leading lighting brand, Akari shares some tips to make it as convenient and comfortable as possible. Bring an appropriate amount of food. Filipino families traditionally spend All Saints’ Day and All Souls’ Day together to pray and pay respect to deceased loved ones, and at the same, hold a mini-reunion. Make sure you have enough food and drinking water stored in spill-proof containers. Avoid bringing dairy products and other perishable food items. Do not bring banned items. Security is strict during Undas. As such, avoid attempting to bring in prohibited objects including guns, knives, alcohol beverages, gambling paraphernalia, and loud sound system. Wear comfortable clothes. Make sure to check the forecast. Wear clothes that are weather-appropriate and comfortable so you can easily move around. Bring umbrellas as well to keep you protected from the sun or rain. Bring only the essentials. Pack light to make it easier for you to clean up after. Aside from food and water, bring garbage bags for your disposables, towels and wipes, first-aid kit, and rechargeable lamps and fans to keep you comfortable for the duration of your cemetery visit. Akari offers a 14-inch rechargeable fan that can last up to five hours. It oscillates like a regular fan with two-level speed control (low/high). 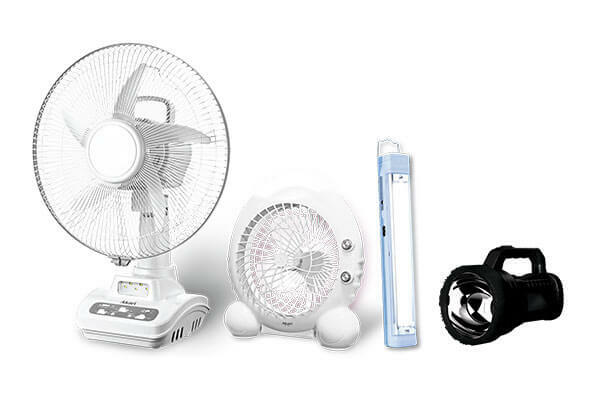 For your personal use, you can also opt for the handy Akari rechargeable 5-inch LED cooling fan. Make sure you have portable lights on standby. Akari has a selection of rechargeable lights, from pocket-sized flashlights to wall mountable lanterns to high-powered searchlights. Keep these tips in mind to ensure a hassle-free Undas experience this year. To know more about Akari, go to http://akari.com.ph/. Light HUB © 2016 Copyright. All Rights Reserved.